A few thousand years ago, humans were a race of hunter/gatherers. We also lived in caves and were a very simple and crude race. At times when working with SharePoint, you can find that the old mindset is coming back…if only for a few seconds. I have been in the situation myself where I find myself lost regarding language packs, so I was forced to find all these things out and here are my findings for you to reuse at will. This post will not cover what language to use when and when you need to do some more work to get a site completely localized, that is for another post. This is about deploying them, getting the correct bits onto the servers and getting them to work. Perhaps there are different opinions as there are about what to install regarding CU’s, but I have followed this advise without any issues or missing language bits. You need the Language Pack files for the language you need to have present in your sites. English, German, French, Arabic…at this point in time, I would recommend that you install the LP and its SP1. The same goes for Foundation as well as for server. Correct me if you think that I’m wrong, but it was never easy to find the files you need. I have simply collected the links you need in one place. Service Pack 1 (SP1) for Microsoft SharePoint Foundation 2010 Language Pack contains new updates which improve security, performance, and stability. Additionally, the SP is a roll-up of all previously released updates. The design of the downloadpage will change based on what language you select, and in a few languages you must press ‘Change’ or the button that corresponds in that language. After you have pressed change, or as in for example the english page, that will redirect on the dropdown-select and a click on the page, you can start the download (you will get it). The file you will get is named ‘ServerLanguagePack.exe’ no matter what language it is for. A nice best practise is to rename it during or after it is downloaded to something like SPServerLanguagePack_en-us.exe or similar, so that you can separate your different language pack files later on. For the Language Pack Service Pack 1, you obviously have something completely different. The site will look a little different but generally the same, it will just like the LP page look different in different languages, so that needs no further description. What is really different is the files you get. They are here named as: serverlanguagepack2010sp1-kb2460056-x64-fullfile-en-us.exe, Obviously…I rename them simply ServerLanguagePackSP1_en-us.exe as they will most likely end up together in one folder. All download pages and packages are localized in itself, so if you need to install for example an arabic LP and don’t speak arabic, make sure to memorize the location and meaning of the buttons, but also remember that they will be mirrored. Use any method you prefer, clicking on them one by one and wait for it to finish, then click the next, and so on. Or…you do as I usually do, create a script. In a multitier farm this is essential so that you can save time to do other great things. Install the binaries on every Application and Web server in your farm! Slipstreaming the SharePoint Language Packs, do or not to do? During the SharePoint installation, the answer is NO! Not supported, can’t do it! 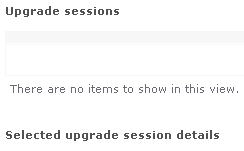 The /Updates folder is only for SharePoint updates and SharePoint updates alone, ServicePacks and Cumulative updates and the likes, functional add-ons like LP’s not included. Try it if you will, but it will simply not work. During the Language Pack installation…given the way I do it with a silent script, I would say Do NOT. Slipstreaming the LP updates is possible but it does not really save you a lot of time and I know that there have been issues. You will easily loose more than you win. After you have found, downloaded and installed your Languages, how do you see that they are installed at all…? There are a few places to look. There are probably things that should be here that I have missed, or that you think is incorrect or that should be included. Please let me know so that I can correct this and make this a better place of information on Language pack finding, collection and deployment. This is ridiculous update scenario. It’s completely unmanageable with more than one language pack installed. I have myself recently added an extra server to a farm with 9 languages installed and it was on SP1. It took its toll…and that was just the one server.